OPEN HOUSE SUN 2/24 11-3pm. Gorgeous 4 Bedroom/2.5 baths, 3 car garage, NO HOA! 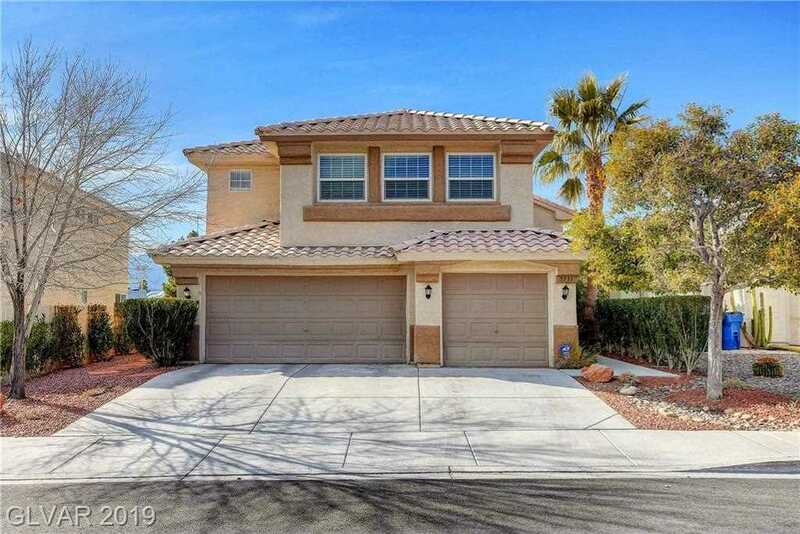 Living Room w/cathedral ceiling, neutral paint, tile flooring on the 1st floor, remodeled kitchen w/granite c/t & beautiful backsplash, custom cabinets, upgraded stainless steel appliances incl. Refrigerator, shutters, ceiling fans, laminate wood w/master bath also newly remodeled master bath w/rain shower, beautiful vanity w/dual sinks, walk in closet & more. Directions:95 Fwy/Ann head South to Ranch Sta Fe Right, turns into Standing Rock. House is on the left. SchoolsClick map icons below to view information for schools near 5333 Standing Rock Place Las Vegas, NV 89130.